The fresh baked rolls have a wonderful, almost addictive, aroma and flavor with a hint of cheese. 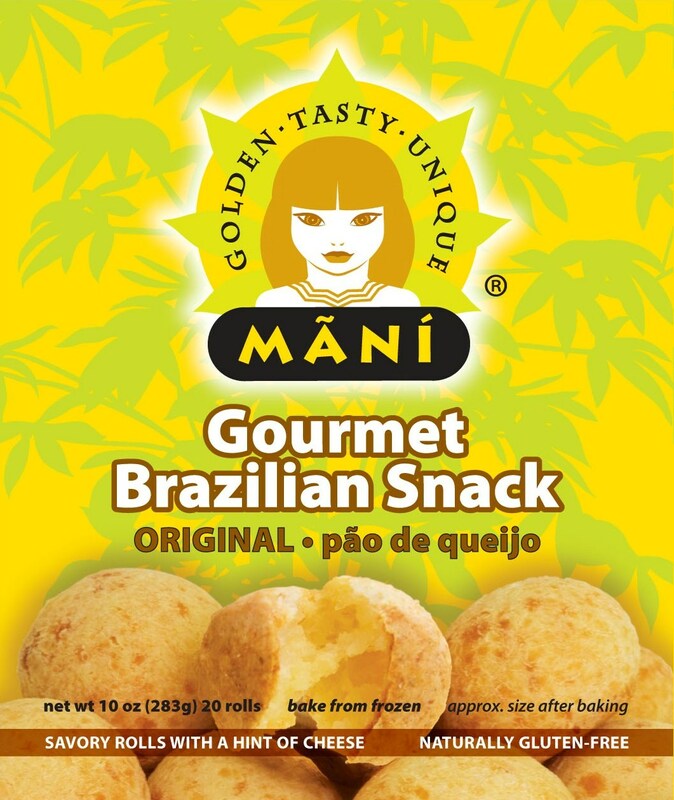 Mãní Snacks/PQX Inc. announced today that its new frozen Gourmet Brazilian Snack, Pão de Queijo (pown-deh-kay-zho), is available now at supermarkets and specialty retailers throughout the San Francisco Bay Area with more retail outlets being added weekly. Mãní Gourmet Brazilian Snack is a frozen, ready to bake, savory snack roll made from yuca flour mixed with cheese, so it is naturally gluten-free. Known in Brazil as pão de queijo (pown-deh-kay-zho) this treat is wildly popular there and is served everywhere--homes, restaurants, bars, bakeries and coffee shops. There are even fast food style restaurant chains dedicated to pão de queijo. Positive response from test groups of California food lovers has prompted the founders of Mani Snacks to bring this savory treat to the Bay Area. 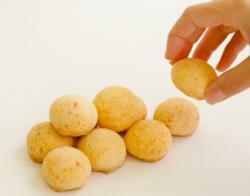 Mãní Gourmet Brazilian Snack comes frozen and ready to bake in packages with 20 half-ounce rolls each. While being baked they expand to about twice the size of frozen and have a light golden shell on the outside and warm airy center when done. Since they are easily prepared they can be served as an appetizer, snack, lunch or even breakfast--almost anytime. They are the ideal accompaniment for beverages of all types, particularly beer and wine, so are perfect for parties. 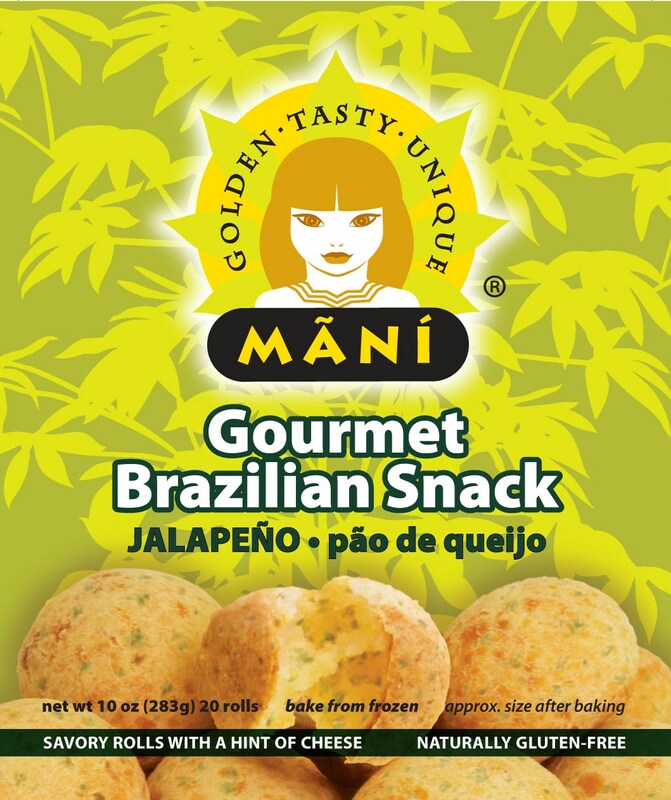 Mãní Gourmet Brazilian Snack is being introduced in two flavors: ORIGINAL--The authentic taste from the Batista family recipe and JALAPEÑO--The perfect blend of California and Brazil for those who like it spicy. It is naturally gluten free and made in the Bay Area from the highest quality Brazilian and locally sourced ingredients. Mãní Gourmet Brazilian Snack Pão de Queijo (pown-deh-kay-zho) is available now in the freezer section at Draeger’s Markets in San Mateo, Blackhawk, Menlo Park and Los Altos; Bianchini’s Market in San Carlos and Portola Valley; Mercado Brasil in San Francisco and Sousa’s Wine and Liquor in Mountain View. New outlets are being added frequently, so please check or website or Facebook for the latest availability. Mãní Snacks was founded in March 2010 as a partnership and incorporated in California in May of 2011 as PQX Inc. Its co-founders are Monika Batista, an architect specializing in hospitality design, Brazilian expatriate and member of Brazil’s prominent Batista family and Scott Richards, a sales and marketing executive from Silicon Valley. After over a year of market research, taste tests and competitive analyses, they decided to introduce and produce the Batista family pão de queijo recipe in the San Francisco Bay Area to take advantage of the Bay Area’s diversity and openness to new food products.